This is a Program that converts temperature between Fahrenheit, Celsius and Kelvin. 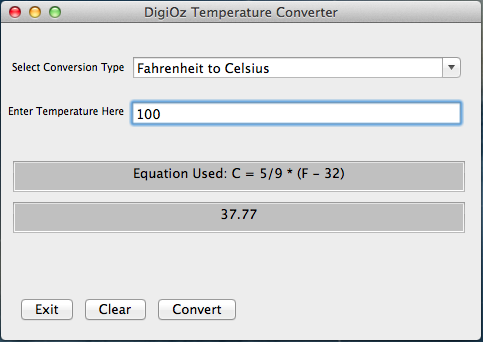 To convert a temperature from one of the temperatures to the other, simply select the appropriate drop-down option, enter the temperature in the text field and hit Convert. The program includes a DMG installer that you will have to run to install the App.